Features: Germany Style, 5 cft.capacity for sand and 72 lit. 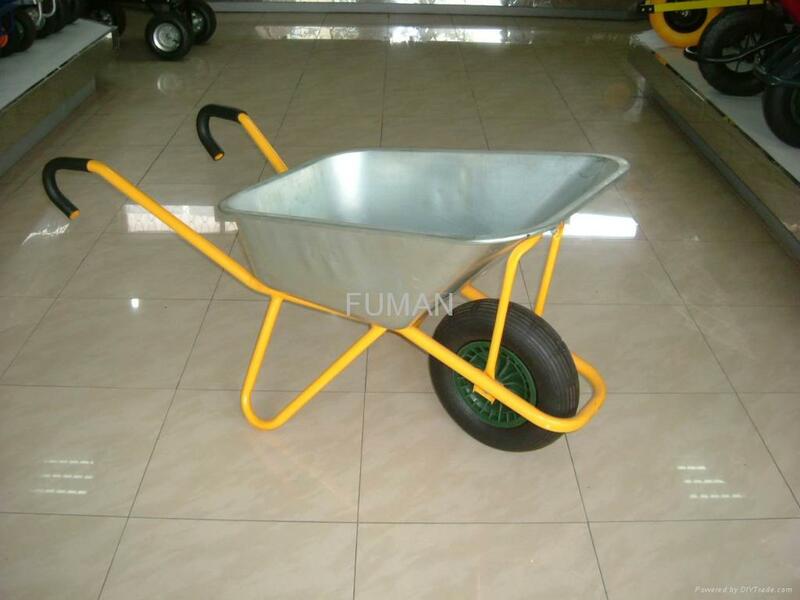 capacity for water, 16” x 4.00 – 8 pneumatic tire with inner tube, steel rim and ball bearings, galvanized steel tray with 1 mm thickness, Cart Body Size:1505L x 595W x 535H mm, N.W. : 14.5 kgs. Loading capacity: 130 kgs.